March 23, 2015 - Like us now! Jumpstart Pakistan’s flagship event “Change Pakistan Conference 2015” was called off by the FAST-NU administration here in Lahore earlier this week. The event was halfway through its second day (March 21) at the FAST-NU, Lahore premises when the administration forcefully demanded from the attendees and judges to leave. 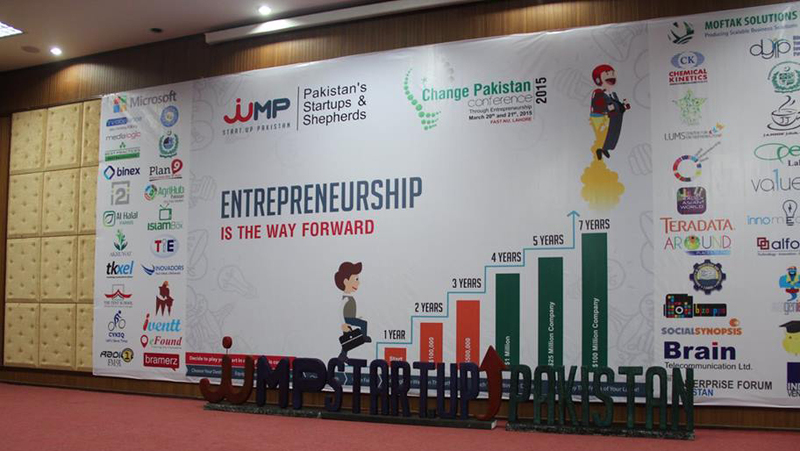 The organizing entity of the event, Jumpstart Pakistan, later announced that remaining part of the event and closing ceremony will be held sometime later in Lahore at a “neutral venue,” possibly after two weeks. According to the information made privy to TechJuice by the attendees and sources present at the occasion, the event was disrupted because the administration didn’t feel that arrangements and security protocols were adequate enough to host the Minister of Planning & Development, Mr. Ahsan Iqbal.Administration’s reluctance reportedly also stemmed from the fact that Mr. Ahsan Iqbal was not the prefect person to deliver an address during the event at an educational institute given his political affiliation with the country’s ruling party.We got in touch with event organization team from Jumpstart Pakistan, and they maintain that Mr. Ahsan Iqbal was invited to CPC 2015 solely to talk about his entrepreneurial journey, and not his political endeavors. Team also expressed disappointment in the university administration’s attitude, as all they received from the administration were excuses, and no solid reason or cooperation.The incident, especially in regards to the political element, might remind some of what happened at Lahore University of Management Sciences (LUMS) last year. LUMS administration, in an effort to uphold its tradition of remaining politically-neutral, cancelled a talk which was to be delivered by Mr. Asad Umar, former CEO of Engro Corp and currently-serving MNA for a prominent political party. LUMS later issued an apology, and extended an invitation to Mr. Umar to speak at the campus again, provided the subject of talk remained “in accordance with [LUMS] policies”.Related: Why #ShameOnLUMSVC is trending on Twitter?Day one of the conference, according to several participants, went well as different sessions were held in accordance with the event agenda. Day two, however, was supposed to host bulk of the activities including panel discussions, and speeches from esteemed speakers and mentors. The highlight of the event i.e. startups’ pitches to judges was also disrupted due to the intervention, at the cost of attendees and startups members who had traveled from other cities solely for the event.